The ‘Digital Servo’ has a Quartz crystal controlled microprocessor, FET amplifier and heavy duty motor. 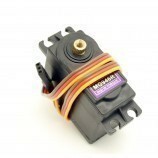 Standard size digital servo with plastic gears 25T servo, 2BB. 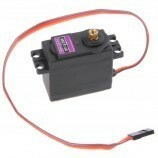 Speed: 0.14sec/60degree at (4.8v) 0.12sec/60degree at (6v). 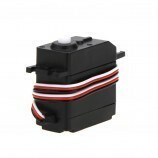 Stall Torque: 5.5kg.cm.at (4.8v) 6.5kg.cm.at (6v) Operating Voltage: 4.8v-6v. 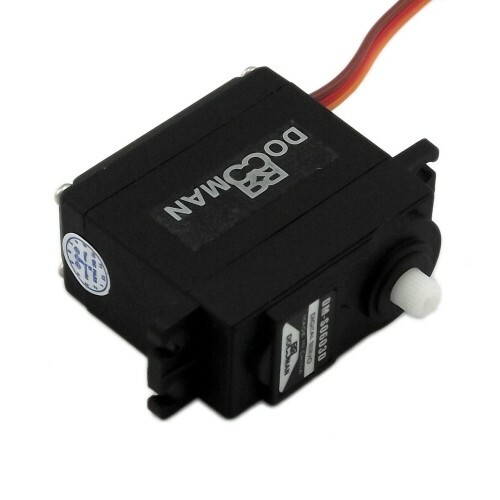 Also Searched as: dm-s0600d plastic gear servo motor, 6kg torque servo motor, plastic gear digital servo motor, plastic gear 25t servo, 180 degree rotation.